Google’s Coming To CES. New Chromebooks Inbound? 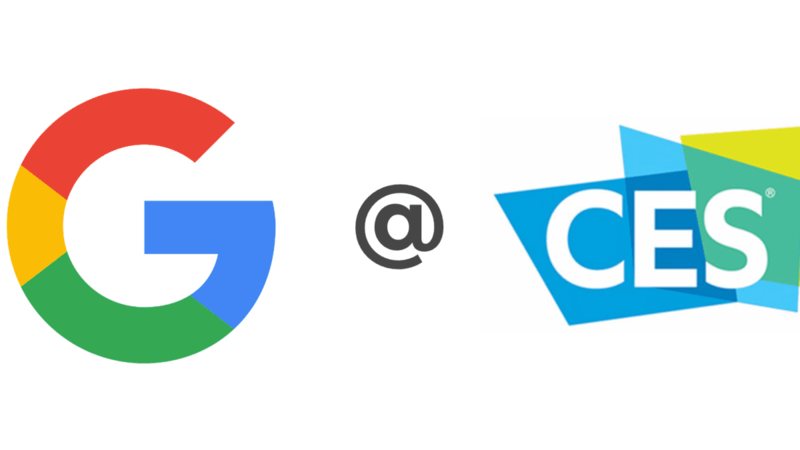 Google’s Coming To CES – New Chromebooks Inbound? Holiday shopping may be the hot topic for most as Thanksgiving and Black Friday rapidly approach but CES 2018 is right around the corner. Thousands of companies have already been making preparations to converge on Las Vegas in just two short months to dazzle the world with the best the tech world has to offer. Once again, Chrome Unboxed will be on the showroom floor looking for any and all signs of new Chrome OS devices along with a presumably large number of products featuring the Google Assistant as well as Chromecast built-in. Traditionally, Google’s presence at the massive Consumer Electronics Show has always been indirect as third-party manufacturers feature the latest hardware with the Android operating system, Chromecast and other Alphabet products. Last year, Google hosted a small, pre-event Made by Google party but did not have an actual booth or product showing at CES. This year, that all may change. We’ve started getting our game plan together for CES Las Vegas and in doing so have started checking out the exhibitor’s list to make sure we serve up the best coverage possible to our readers come January. As I filtered through the seemingly endless list of participants, I happened across Google’s name. At first, I wasn’t too surprised. Despite their lack of hardware representation, Google still maintains a presence at the show, albeit behind the scenes. At CES 2017, Samsung launched the iconic Samsung Chromebook Plus and Pro making it the first Chrome OS device to have a center-stage presence at this annual event. Banking of the new Chromebook’s popularity, you can be sure that Google was keeping a watchful eye on the reception of Samsung’s new devices. As I clicked Google’s exhibitor link, my heart jumped a little as I was greeted by an event map that showed a Google booth (and a rather large one) smack dab in the middle of the large, outdoor thoroughfare that is the Central Plaza of the Las Vegas Convention Center. Not only does Google have a sizeable, free-standing building at this year’s event but they also have multiple hospitality suites booked in the Tech South building; eight to be exact. It’s no secret that Google has initiated a major marketing push for all of their new #madebygoogle products. Pop Up Stores, Donut Shops, television commercials and more, the now hardware company is looking to cement themselves as a legitimate OEM of consumer products. But why such a sudden and grandiose presence at an event that previously held little direct interest to Google? Are they just looking to put on a show in the hopes to further their market share or is the search giant coming to Las Vegas with some new toys to dazzle the world? We have waxed philosophical that Google may very well be on the verge of launching a whole lineup of Chromebooks to complement the recently launched Pixelbook and their presence at CES gives me hope and a bit more fodder that we may be on to something. For almost a year now, Chromebooks in the form of tablets and detachables have been in development and the time is right for the new form-factors to make their debut. As Google continues to target the consumer market with the Pixelbook, follow up devices and even a Pixel C replacement would be an incredible nod to their faith in Chrome OS’ potential as an operating system for the masses. Most Chromebook manufacturers have now fully embraced the convertible movement. Perhaps Google is looking to give them the incentive to continue pushing Chromebooks into uncharted waters and create a market that once was a mere niche. I concede that this is all very speculative on my part but the signs are certainly pointing in an interesting direction and I tend to go with my gut. My gut tells me that Google is up to something much bigger than just the hardware unveiled last month. Only time will tell and we will be there if and when it happens.